So the aim of our 2008 study was simple: to be able to confirm whether or not the direction that a stroller faces has a significant impact on how adults interact with their baby. The take home message of the study was that it does. We found that simply turning the buggy around doubles the amount of conversation that babies experience. The most surprising thing we discovered, once we looked closely at what was happening for children on High Streets in Britain, was just how infrequently babies seemed to be taking part in conversations with parents. Of the nearly 3000 observations that volunteers made of parent-child pairs, talking was observed in only 22% of those observations. Talking was twice as likely to be happening when children were being carried or walking (more than 40%) than when they were in strollers (less than 20%). The media’s coverage of that story – including an invited Op-Ed piece in the New York Times - made it a bumpy and confusing ride for parents across the globe. The international storm extended from France to India to Australia and beyond. Responses from parents and professionals alike ranged from “I am so relieved to see that a scientist is finally talking about this” to “Utter hogwash”. Well, guess what? A new study carried out in New Zealand has just replicated those earlier findings. It was carried out by Dr. Ken Blaiklock at the Unitec Institute of Technology in New Zealand, recently published in the New Zealand Research in Early Childhood Education Journal. How do we help the public to think about this issue in more depth? How do we do that without causing parents to be alarmed or to feel guilty? That’s what happened in 2008. The media’s coverage of the story led parents to feel worried and defensive. The language used didn’t help parents to feel curious or informed. The coverage made it seem like a rather silly, over-stated issue. I continue to think, though, that parents do want to know about this information. I remember in particular one of the mothers who took part in that 2008 study. Like all the participating parents, we had invited her to take her baby out for a walk in a stroller that we’d provided, which faced either outward or inward. Half way along, myself or one of my students met the parents and helped them switch to a stroller that faced the other direction. This mum came back from that walk saying, “I had no idea how much of a difference the direction of a stroller would make. We had such a good time when she faced me. I am off right now to buy a new stroller.” And she did! I wanted to send a request to Mothercare for a commission on the sale they had just made because of my research study. I think also about the difference that this information makes for children in nursery. VIP Childcare, based in Elgin, makes a point of taking the children they care for outside every day. They decided to replace their outward-facing double-buggies with inward-facing ones, even though this was at some cost. Very creatively, they carried out a systematic observation of the children’s experience in the buggies they were using before and after. They were able to show a definite change in the children’s behaviour and experience. Even the staff reported higher levels of enjoyment when out on a walk. 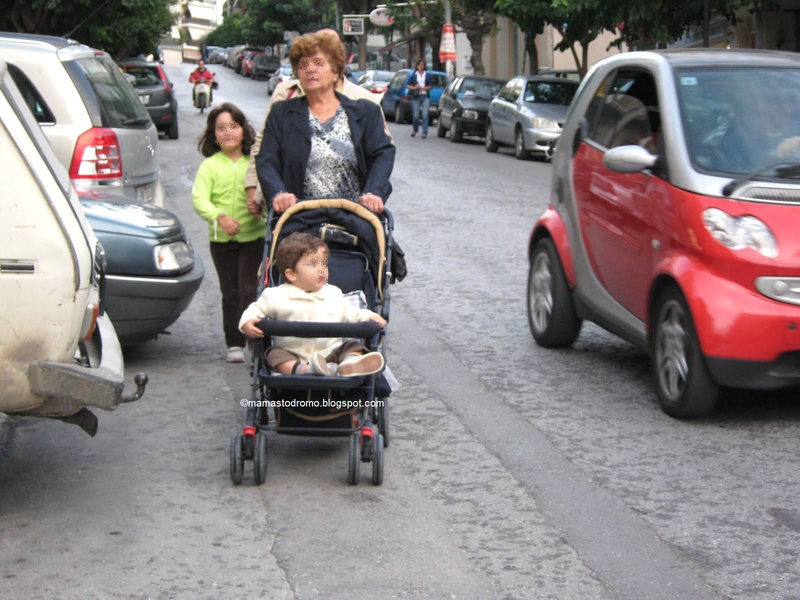 Why should strollers matter so much? The stroller years are precisely those when human brains are developing more rapidly than they ever will again. Young brains are being shaped by every single tiny experience that a child has. If outward-facing buggies significantly decrease the amount of chat that a baby gets to have, that will inevitably be impacting on language development. If the world that the baby is looking out to is alarming, because it is full of loud traffic, shopping bags, and random adults’ knees, then the baby might end up a bit anxious. It’s understandably easy for busy parents to overlook that anxiety or the opportunity for chatter when they are feeling hassled, trying to negotiate all that traffic, and they can’t hear the baby or see his/her facial expressions. Most adults have no idea just how tuned in babies’ brains are to the environment around them. That’s why I show all those video clips of young babies in my talks. 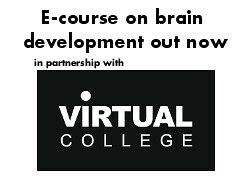 I’m trying to help us to think about how human brains work, how connected babies are from birth, how emotionally dependent they are on the people around them. Babies need us grown-ups to pay attention to their emotional needs. Babies have immature brains that mean they can’t yet manage those emotions themselves. They depend on our help to learn how to do that. So: every minute of a baby’s experience is having an impact on their brain development. This includes the time that we adults think of as ‘in between’ time. While we may think of the time in the buggy as ‘just nipping into the shops before we get home’, the baby doesn’t know that. The time in the buggy is as ‘real’ for him or her as any other time. That doesn’t mean that parents have to pay attention to babies every second of the day. That’s a relief for parents. And it also confirms what parents know instinctively. Babies don’t need constant attention. It does mean, though, that they need enough attention. And they need it at crucial times. Babies especially need attention and comforting when they are feeling uncomfortable and at risk of being overwhelmed. It is in these moments that they most need reassurance, which comes through the responsiveness of someone they trust. It is through relationships that babies learn how to deal with their discomfort and anxiety. 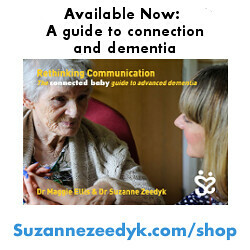 Having a buggy that faces away, especially probably during the first year, makes it more difficult to let your mum or dad know that you are needing them. The more time that babies have to spend in anxiety, the more their brain comes to expect anxiety, and thus goes on to actually create it. Once we get this far in the discussion, it becomes easy to realise that the logic applies to other forms of baby transport, especially slings (baby carriers) and car seats. Slings keep a baby close to a parent’s body, and thus in constant reassurance. This is why many parents choose to use them. Giving slings away to families living in ‘vulnerable circumstances’ would probably make a great health intervention. 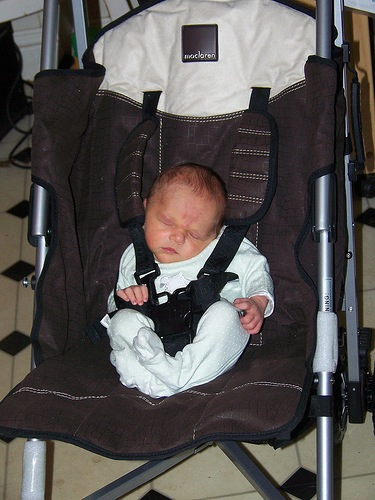 Car seats, on the other hand, bring up many of the same challenges as strollers. The laws in many Western countries require that infant car seats be rear-facing in order to protect infants in the case of accident. While this protects their physical health, it may interfere with their emotional health, because it prevents the baby from seeking and making easy contact with the driver. That’s part of why a parent can easily end up in a fight getting the baby to settle into a car seat. Yet, the idea that car seats should be impacting on the development of infants’ brains and emotional health hasn’t been considered in the scientific literature or by professionals. That is one of the reasons that Jane Leavey has just founded the new UK-based organization BabyBWell. 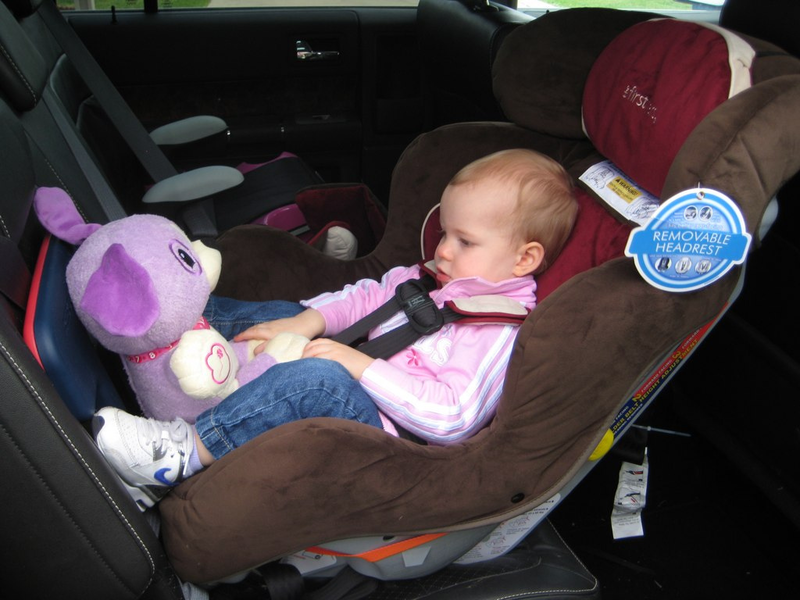 She is keen to help parents to understand more about the issues associated with car seat use. She advocates a 90 Minute Max Rule: never travel longer than 90 minutes without giving the baby a chance to get out of the car seat and move around, even if its ‘just’ in your arms. Indeed for a young baby, there’s no ‘just’ to it. There’s nowhere they would rather be than in a parent’s arms. I’ll be exploring the issue further in my next blog post. It is likely the members of these professional communities simply do not know, since even the scientists have not thought to gather data. When I was undertaking the preparations for my 2008 study, a colleague said to me, “Suzanne, you’re not really considering doing research on baby buggies are you? Do you not think you may put your reputation as a serious scientist at risk?” My shoulders hardened with my resolve. A few manufacturers have begun to consider these issues. Graco hosted an event in 2011 that launched their new parent-facing model. The company Stokke has probably done the most of any company to think through their responsibility as designers. They have entitled their entire line of buggies ‘Connection Strollers’, and have made films that try to explain the importance of connection to consumers (see below). Some retailers have also tried to communicate the significance of connection to customers. My view is that these commercial industries have a moral responsibility to learn about child development. The products they design, the items they sell, the advice they give have an impact on the brain development of our children. Parents and society at large are right to expect them to fulfill that duty. They can perhaps be forgiven for not fulfilling that responsibility until now. Most probably did not know. But they can be expected to now, with your help. Once you finish reading this blog, take one simple step. Tell someone who needs to know. Forward this blog to another parent or health visitor. 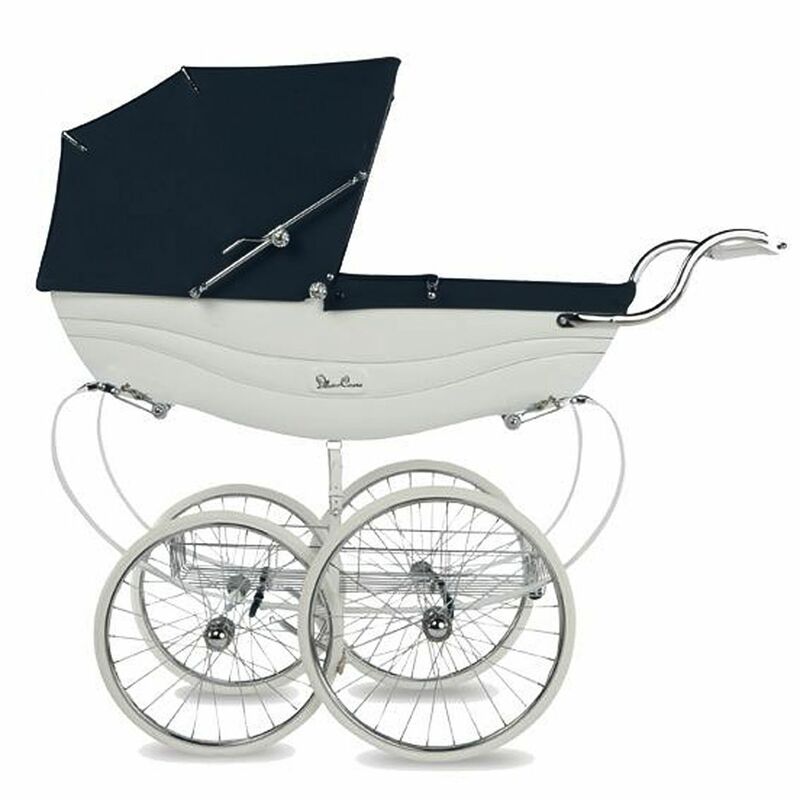 Find out if your local pram supplier or the manufacturer of your stroller knows about this stuff. Drop an email to Dr. Ken Blaiklock (KBlaiklock@unitec.ac.nz) to thank him for being the only other scientist in the world to carry out an empirical study on strollers. Send a thank you to the editor of the New Zealand Research in Early Childhood Education Journal thanking her for making this research report an open access publication (Sarah@childforum.com). Not all scientific journals would have been willing to take this step. Call a local journalist and get them to do a story on this issue. Ask the nursery or childminder who cares for your child if they know about the report produced by VIP Childcare. Support Jane Leavey’s campaign at BabyBWell (www.babybwell.co.uk). Send a tweet to the Sutton Trust (@suttontrust) or the National Literacy Trust (@Literacy_Trust) to let them know that you are still reading the report that they funded in 2008, given that it was considered by some commentators at the time an ‘outrageous waste’ of money. See if there are any other funding agencies out there willing to be as courageously wasteful as the Sutton Trust :-). Next: Emotional Safety Standards for Strollers and Car Seats? I think studies like these are important and useful, but they’re not always practical, because they don’t factor in a baby’s particular attitude. I’m all about natural and attachment parenting. My son is exclusively breastfed, we co-bathe, cloth diaper, all that jazz. We planned on baby-wearing and bought an expensive carrier to do so. My son is 4 months and I finally gave up. (for now, we’re gonna keep trying as he grows older) My son HATES… absolutely HATES baby wearing. It breaks my heart, but he’s so content in a stroller or riding in the cart then he is strapped to me. When we use our carrier he’ll tolerate about 15 minutes of it, then he’s had enough. He starts flailing his limbs, screaming, and crying, while turning red. Some of his biggest fits have been from the carrier. I’m a stay at home mom, I spend all day being face to face and interacting with my son. I honestly don’t think the 30-40 minutes he spends in a week (at the most, we’re home-bodies) in a stroller isn’t going to negatively affect his brain development and human attachment. two parent families have a major car seat advantage -one parent can be in the back with the baby at all times, which is what we did, for the very reason that the baby needs that face time when in a confusing/uncomfortable position. As a former student who attended your lectures at the University of Dundee, I have always kept up to date with your research findings and blog. Since moving back to Canada 3 years ago, I am now working as an intern at Alberta Children’s Hospital – in order to become a Child Life Specialist. I have been asked to write an article for a weekly newsletter for parents at the Ronald McDonald House in Calgary – I have chosen to write it about this topic! Thank you for your continued and valuable contributions to the field of child development!